Listennn! 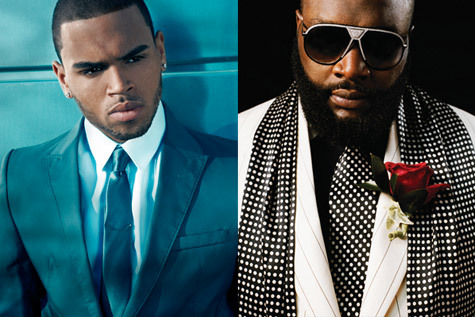 DJ Khaled rounds up his famous friends on “Take It to the Head,” his star-studded single featuring Chris Brown, Rick Ross, Nicki Minaj, and Lil Wayne. The Runners-produced cut will appear on the Cash Money DJ’s upcoming album Kiss the Ring. Rick Ross’ sweat-covered belly, Lil Wayne’s cameo-filled set, and Chris Brown’s raunchy lap dance. 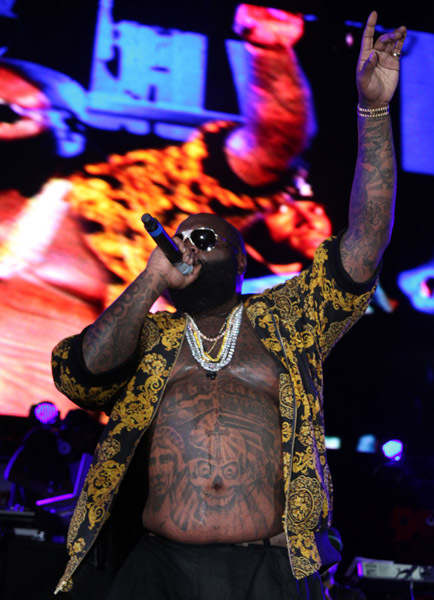 These were just a few of the highlights as hip-hop’s heavyweights descended upon New Meadowlands Stadium in East Rutherford, New Jersey, for Hot 97’s annual Summer Jam. And as with all Summer Jams, there were plenty of surprises. Wiz Khalifa blazed the stage first followed by Waka Flocka Flame. Fabolous sported a bow tie while killing it with mixtape material and Lloyd Banks got a hand from Jeremih, Lloyd, Mobb Deep, Swizz Beatz, and Ryan Leslie during his star-studded set. Additionally, Dipset’s Cam’ron, Juelz Santana, and Jim Jones were embraced by their hometown fans as they delivered their New York anthems. Check out 30 images from hip-hop’s big night.